WinZip discount, WinZip coupon. 40% Discount on WinZip Pro, best price ever ! Zip, protect and share anywhere with the world’s #1 zip utility. With just a click, open all major compression file types, including Zip, Zipx, RAR, 7Z, TAR, GZIP and more. Share directly to more cloud services, manage your cloud files more easily, and quickly share links to your cloud files. Bring popular WinZip features into the software you use most with new WinZip Express Add-Ons*. Protect your files in the cloud and use less space by zipping them first. WinZip 18 lets you connect directly to your cloud services, including Box, Google Drive, SkyDrive, Dropbox, CloudMe and SugarSync. Zip before you upload, open zip files saved in the cloud, or select files from the cloud to zip and share. Access and manage your cloud files as easily as you access the files on your computer. WinZip 18 makes it simple to send files to and from the cloud, save between your cloud accounts and monitor your cloud storage space. Quickly send links to your cloud files by email, instant messaging and on social media sites. Bring the power of WinZip into the software you use every day. Download the WinZip Express Add-On for Explorer for free and get instant access to the WinZip features you use most directly within Explorer. Add-Ons are also available for Microsoft Outlook, Photos and SharePoint. Make Zip and Zipx files even smaller with the enhanced zip engine in WinZip 18. No purchase necessary to enter or win. Void where prohibited. Some restrictions may apply. One qualifier per household. You need not be present to win. Eligibility: In order to submit entries, entrants must be of at least 18 years of age, this contest is open worldwide. How to win: The prize winners will be selected in a random drawing conducted from all qualified entries on or about the date (or days) specified above. All entries must be received on or before the Contest Entry Cut-Off Date (or Days) specified within the Contest duration. Still the best compression utility for some people. Thanks for the chance to win. Thank you for this giveaway! A must have. Great giveaway — WinZip latest offering is a wonderful package! Please include me in the drawing and good luck to everyone! 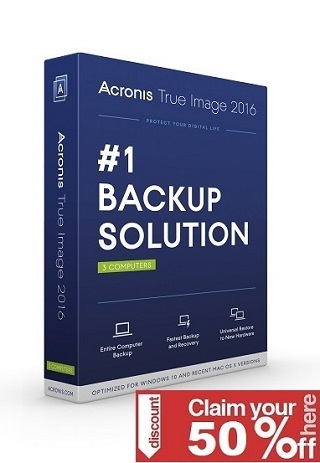 Thanks for the opportunity to win this AWESOME software! WinZip is the ultimate compression software! Many many Thanks for this awesome Giveaway. 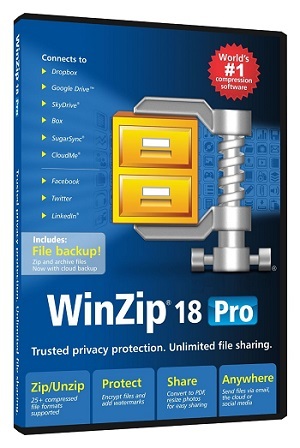 WinZip 18 Pro is the Best Extracting Utility tool having fabulous New Cloud Features. Hope to Win one Genuine License. nice offer! count me in! thanks! Nevím k čemu by mi byl program dobrý, když .zip formát je zabudovaný přímo ve Windows. Thank you very much for this oppurtunity to win WinZip 18 Pro! Awesome giveaway. Hoping to win. WinZip is awesome. Thanks for the giveaway. Thank you. Please, count me. Hey nice Giveaway. Thanks in advance. Count me in. Participando … Espero ganhar !! Please count me also. Thank you. it’s the “mother” of all compression programs – literally! Great opportunity. Count me in for sure!! this looks like something I could use. I send a lot of files. I also Followed you on Facebook and Twitter. Please include me in this most wonderful giveaway for a superb software. PLEASE GIVE ME ONE LICENSE! Pick me, pick me! Your next winner!!! Show me the money!!! It would be a dream come true & means more to me than anyone else to win. Starving artist here desperately needs the 18 pro to work & eat again. Winner, winnner. Chicken dinner. A life changing experience. Top of my bucket list. Thanks for the awesomeness, the contest, & generosity. Dear Santa: I’ve been nice. My X-Mas wish this year is to win this contest! Great program, thanks for the opportunity. Please kindly to count me in too for this Awesome Giveaway. Thankx . Nice gift . Yes count me in! thanks! Like programs would like license. Super offer. thanks and count me in! Thanks! count me in appfound! many thanks hope to ein. wONDERFUL PROGRAM WOULD LIKE A KEY. count me in for this program! Great! Please count me in. Thanks. Subscribed and activated – thanks for the giveaway! Thanks and count me in!! great! Thanks for this giveaway . thanks for this giveaway appfound! thanks! count me in ! I guess iam old …I remember using the first versions…..good stuff! Nice program to have-count me in Please. 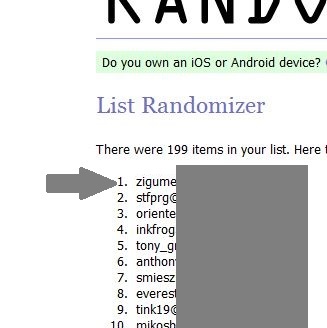 Please enter my name in the giveaway, and Thanks for making this giveaway possible. WinZip is the best archive compressor I’ve tried, please put my name in contest. Thank you. Yeah, this is a great giveaway. Please count my in. Enter me to win, I have subscribed by email and follow on Facebook and Twitter. Never used WinZip since 2004 and I’m curious how it is now. Hi, please count me in. Thanks for such a nice deal. One of my favorite tools for over a decade. Excellent software, please count me in. thanks! count me in! winzip is great! WinZip now up to version 18! I’ve had great success with WinZip in the past and would like to try the latest version. One of the best software. I am definitely in. Thanks for the giveaway.